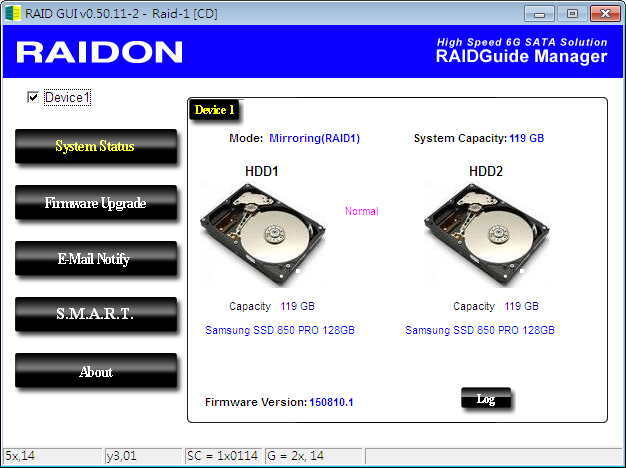 Raidon Technology, Inc. introduced its internal RAID module, iR2623-S3, which supports hardware RAID and has an additional space for another 2.5" drive. As the company's tradition, InTANK iR2623-S3 provides two drive trays for 3.5" drive in two CD-ROM's space and supports hardware RAID function. User can set the RAID mode as safe mode (RAID-1) for data protection or set it as speed/capacity mode (RAID-0) for the performance of data transfer and storage capacity. It also has a LCM module at the front for user to check the status of iR2630-S3 at any time. In addition, iR2623-S3 provides another drive tray for 2.5" drive in the limited space. User can access the data in this 2.5" drive directly, or user can use it with other storage for data on the move. 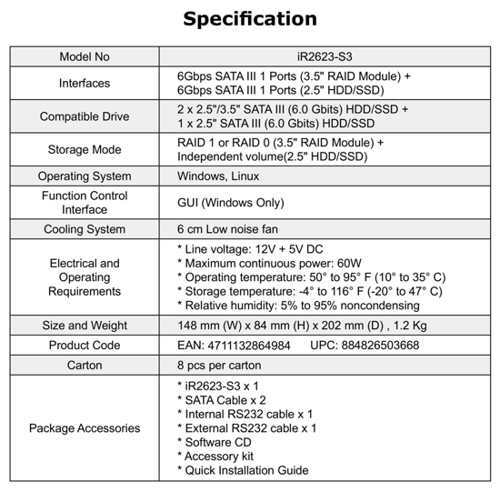 Furthermore, if with the relevant modules, user can install mSATA or M.2 SSD on it. For example, user can install the operation system in the 2.5" drive and use SSD for better performance, and storage the data in the RAID module which created by the 3.5" drives for data safety or larger storage capacity.